Create and share your lists easily and fast. 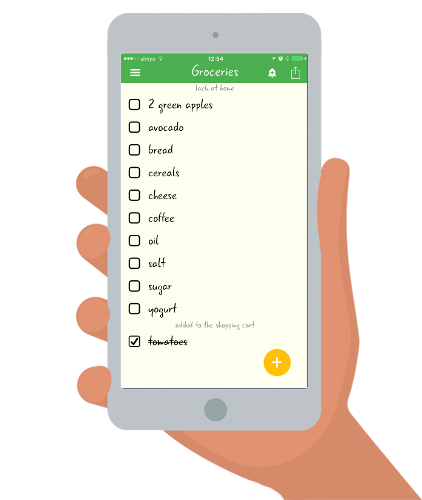 The most simple and productive list app for your smartphone, 100% free! Speed up the creation of your lists using voice recognition (Android only). The app will also suggest products as you write with your keyboard. Share your lists with friends and family and keep them always synchronized. Notifications will provide you with the latest changes. The app will track basic statistics like the top products that you buy more frequently.